The leadership of student organisation, Cosas has threatened to go back to the ANC’s headquarters in Johannesburg if the party reneges on its promises to address their grievances. 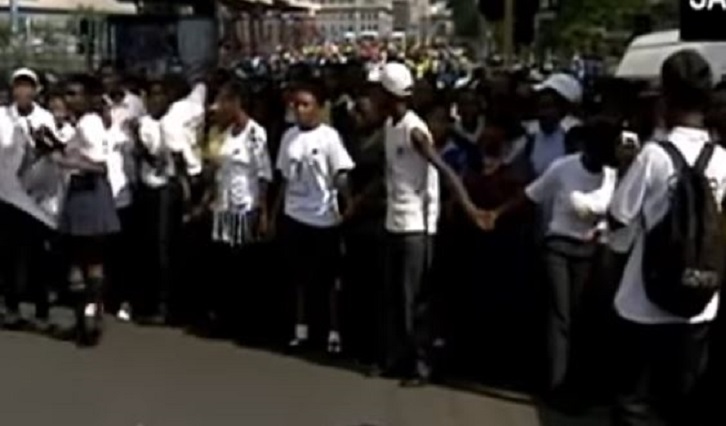 Hundreds of Cosas members marched to Luthuli House on Monday to demand solutions to issues including violence in schools and poor infrastructure. The ruling party’s Secretary General Ace Magashule told Cosas that the ANC together with Basic Education Minister Angie Motshekga will meet with them within the next 14 days to address their grievances. Cosas Secretary General Nkhobo Khomongoe says they will go back if they are not called back for a meeting between COSAS and the minister as promised. The post Cosas threatens a march back to ANC headquarters appeared first on SABC News – Breaking news, special reports, world, business, sport coverage of all South African current events. Africa's news leader..